Short of a candle pillar? Or looking for an inexpensive center piece for your table? 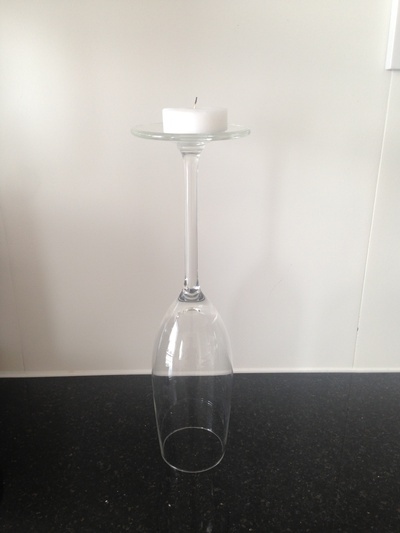 Here is a great way to upcycle a wine glass. Decoration of your choice - try fresh flowers, ribbon or costume jewellery. The steps are simple. Take a wine glass or champagne flute and turn it upside down. 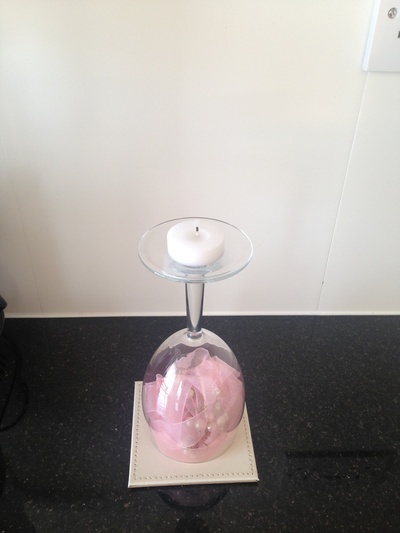 Simply place a candle or tea light on top. 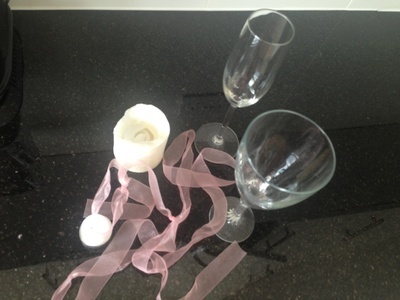 Use a candle which is proportionate to the glass. I find a tea light works well for champagne flutes. Step back and admire your quick, easy, cheap but tasteful decoration piece! 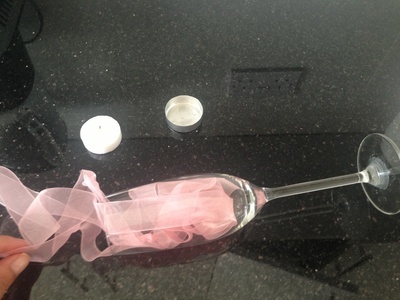 You can stuff the cupped part of the glass or flute with your choice of decoration to fit the theme of your party. I have used ribbon and pearls but a fresh flower would be ideal for a wedding. This is a very versatile decoration piece. 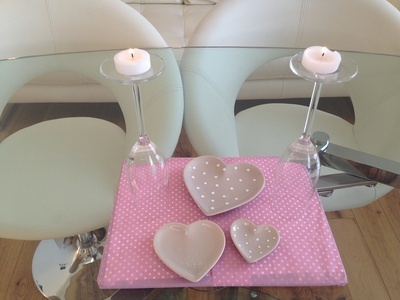 It can be used for weddings, dinner parties or just placed around the home.